Designed to be the longest single aisle twin-jet commercial aircraft ever built. 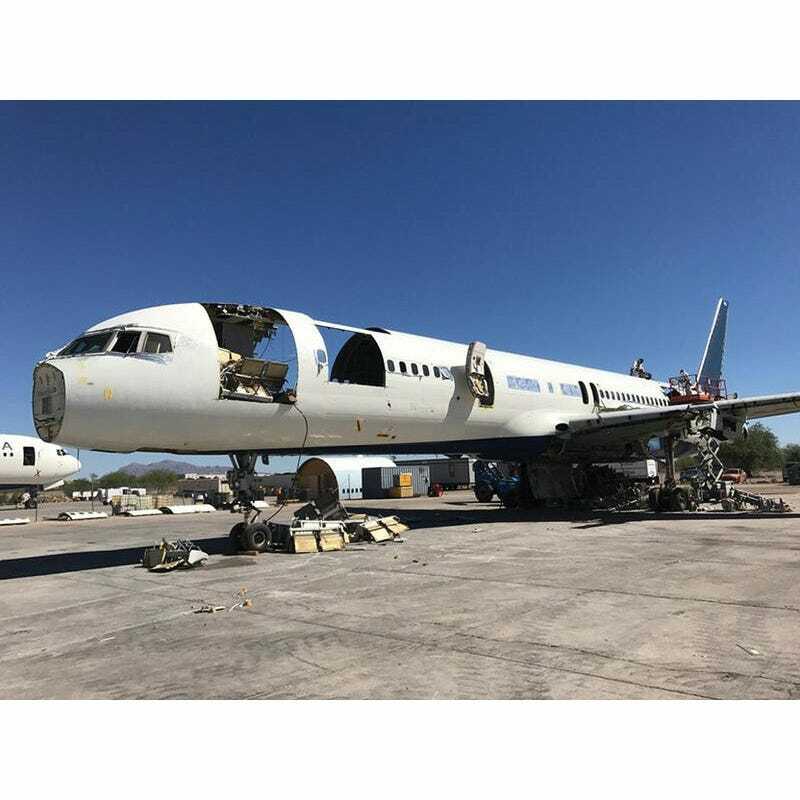 The Boeing 757-200 sported new technology wing and engines to give the best fuel mileage of any standard-body airlines. Boeing produced a total 1,050 of the aircraft, with the last 757 being built for Shanghai airlines in 2005. 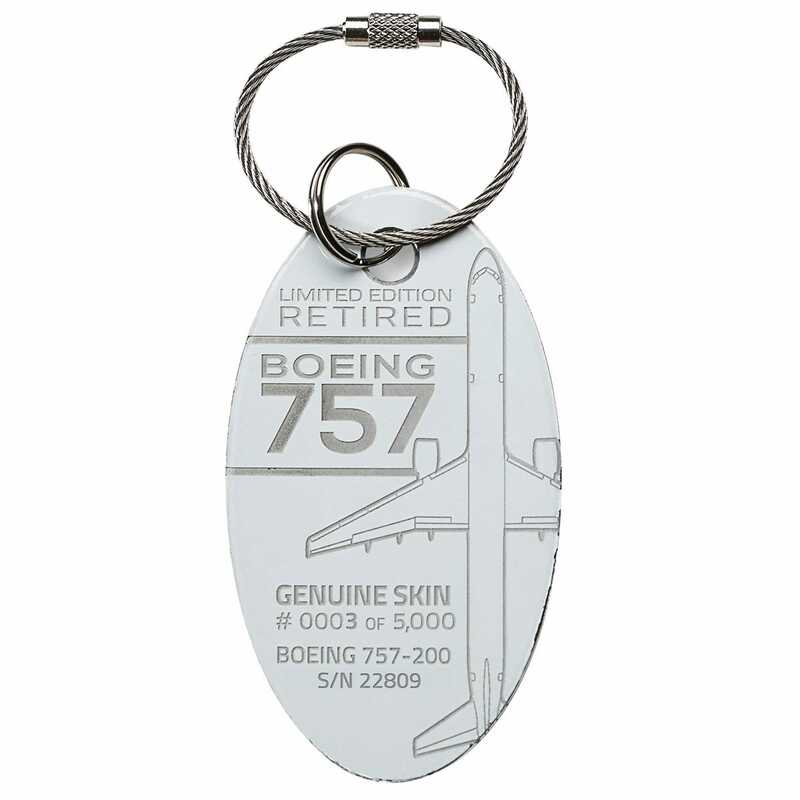 Plane Tags are engraved directly from the skin of a historic Boeing 757 decommissioned airplane. This limited edition, one-of-a-kind Plane Tag has been resurrected from its time in the clouds to live on as a versatile and practical memento. Over 100 years after humankind’s technical marvels conquered the skies, you too can hold a token of aviation history in the palm of your hand. 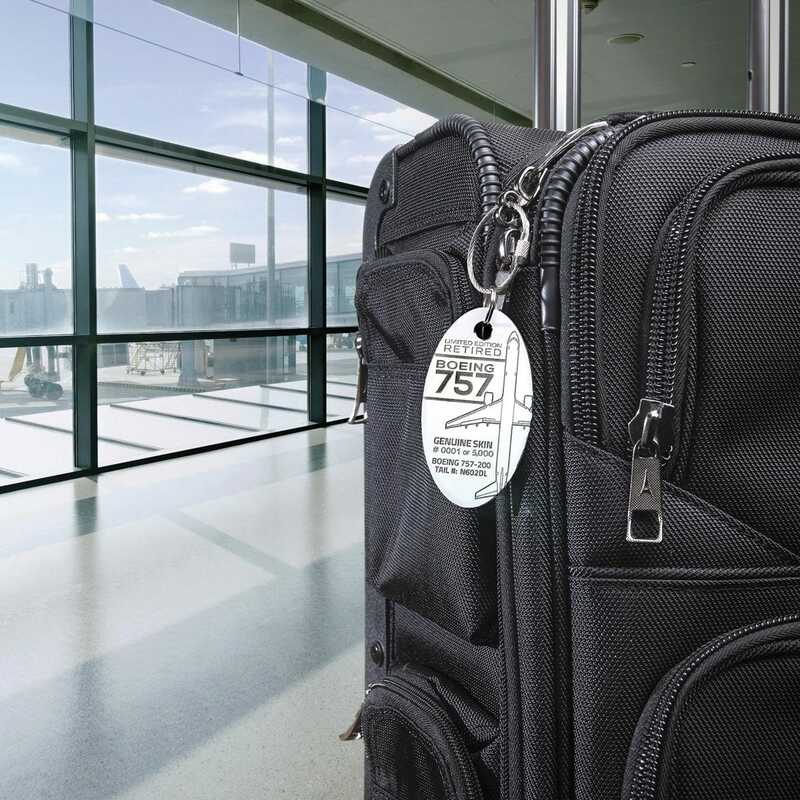 Plane Tags are made from actual retired aircraft fuselage, not merely stamped metal. Because Plane Tags are made from real fuselage, each Plane Tag bears the color, thickness, and wear and tear from the portion of the fuselage from which it was cut and it is therefore rare to create two identical Plane Tags. These variations and imperfections are not product flaws. They are part of the beauty of Plane Tags. As a result, you will not have an option to select the color of your Plane Tag. The images on this website are provided for reference only and should not be used as the sole basis for choosing a particular Plane Tag. Not recommended for children under 8 years of age. This product contains chemical-based paint which may cause respiratory irritation if ingested or inhaled in large quantities. Keep out of mouth.